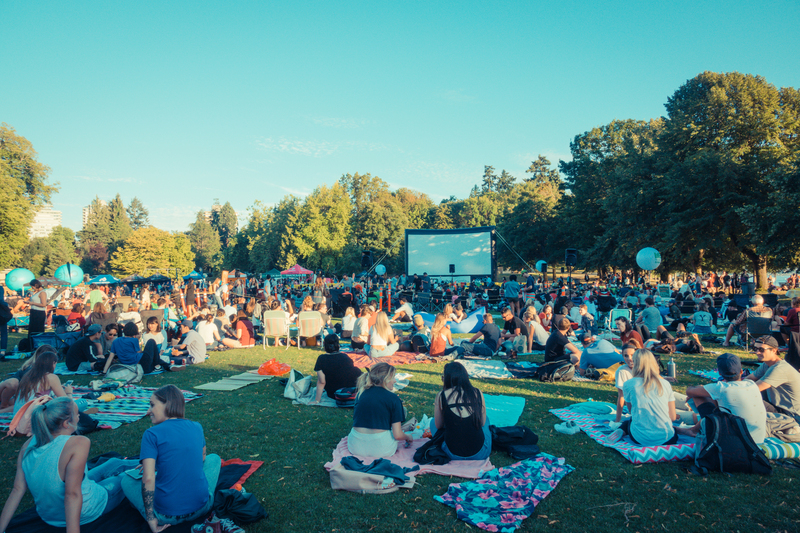 Summer is in the air at The Belgard, and here in the District’s vibrant NoMa neighborhood, that means one thing — the return of NoMa Summer Screen, the award-winning outdoor film festival held in northeast D.C.’s most exciting community all summer long. This year’s festival theme is Wonder Women, featuring a variety of movies with strong female leads. With selections including kid-friendly options like Moana and Matilda to Mad Max: Fury Road and Thelma & Louise for more mature audiences, the festival culminates, of course, with Wonder Woman herself. Free to all, the screenings are held at the lot at First and Pierce (1150 First St. NE), just a couple blocks from The Belgard, on Wednesday evenings at sunset now through August. For an inclusive experience, all movies will feature subtitles. Check here for approximate starting times and the full schedule of films. Always need a snack at the movies? A rotation of D.C.’s best food trucks will be onsite each week, including Ooh Dat Chicken, Smoking Kow BBQ, The Big Cheese, and Swizzler. Free snacks, including popsicles for kids and popcorn, will be available most weeks as well (while supplies last). Bring Fido along as well! Just like at The Belgard, with our pet-friendly amenities (including pet grooming and dog walking services), NoMa is a neighborhood of animal lovers. Dogs on leashes are welcome at NoMa Summer Screen. Be on the lookout for The Belgard at the screenings, and follow us on social for more information. We look forward to seeing you there!